My new favorite nail polish collection is the scented polishes by Revlon. I find myself reaching for these the most because the polish doesn't chip as fast and my nails smell good - who doesn't love that?! 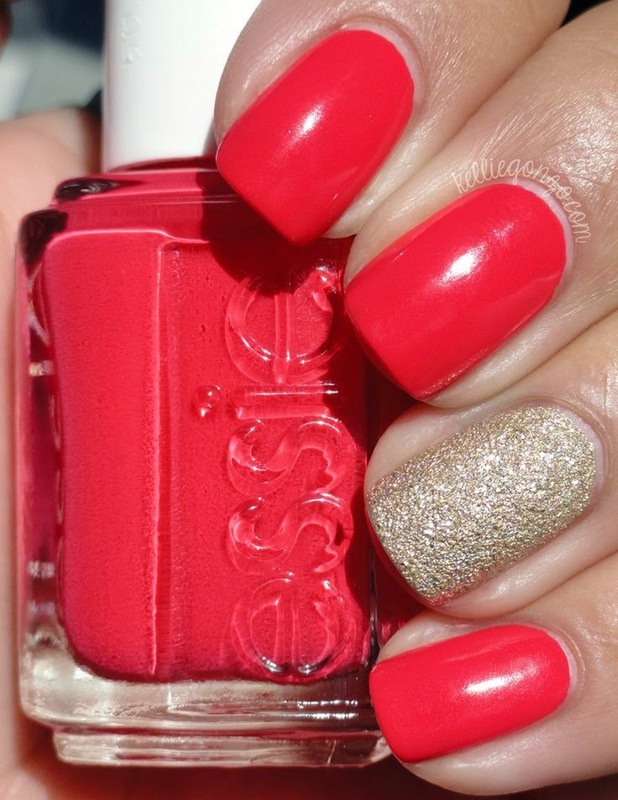 Of course you can't have a nail polish collection without an Essie polish!! These are on the darker side and I usually like to bring them to the salon so that they can paint my nails and I can touch up the chips because sadly Essie does not stay on too long with me!! I was so excited when MiniLuxe reached out to see if I was interested in trying some of their polishes - no brainer right?! I love that their polishes are named with some great Boston sayings and places!! I can also tell with the application that their products are free of additives and acrylics. I'm becoming more conscious of what I put on my hands/nails and having a brand that is committed to protecting you, ranks high in my book! No list is complete without a great Gray and Red polish!! Some people might think that $1.99 polish doesn't last as long , but this red color by Wet n Wild has a great consistency and didn't feel like an overpowering red. Sadly I can't find the link, but you can find it at any CVS! I absolutely love this Greycian Goddess by L'oreal! I actually get the most compliments on my nails when I have this on! Don't let these 11 polishes fool you - there are about 30 more where that came from. As you can imagine I change my color quite frequently and to keep the polish chip free, a quick trick I've learned is using cuticle oil all over the nail before bed. It tends to keep the chips at bay at least for a few extra days! So ladies - do you have a go to Fall/Winter polish? Is there a favorite brand that you swear by? I don't remember the last time my nails weren't painted! I have an obsession with nail polish! I still haven't tried those Revlon scented polishes. That Italian Leather one looks like Armed & Ready! Is that the one you were telling me about? Of course I love my Essie colors! I currently have For the Twill of It on although I'm sure that will change in like a day or two LOL! I feel the same way, I love most all of the Essie colors but gosh darn if it would stay on my nails longer than a day, ya know?! I haven't tried the scented Revlon ones yet...and now I feel the urge to run out an find them! My favorite line is the Sally Hanson Salon. For me they have the best application and staying power. Ummm who knew a nail polish could actually smell good?! Not me!! That is amazing and I will have to try it!! I love that green Essie color - it is very military! I do wish the polish would last a bit longer, but while it's looking good I always feel special! Great tip about the cuticle oil - I'll have to try that! This post is all kinds of informative for me today because I've been living in a world free of scented polish, but now I'm totally intrigued! I loveeee havng by nails painted but am so bad at it! I always make a mess and then it chips immediately, so i usually get gel manicures. I'm loving all of those colors you posted! 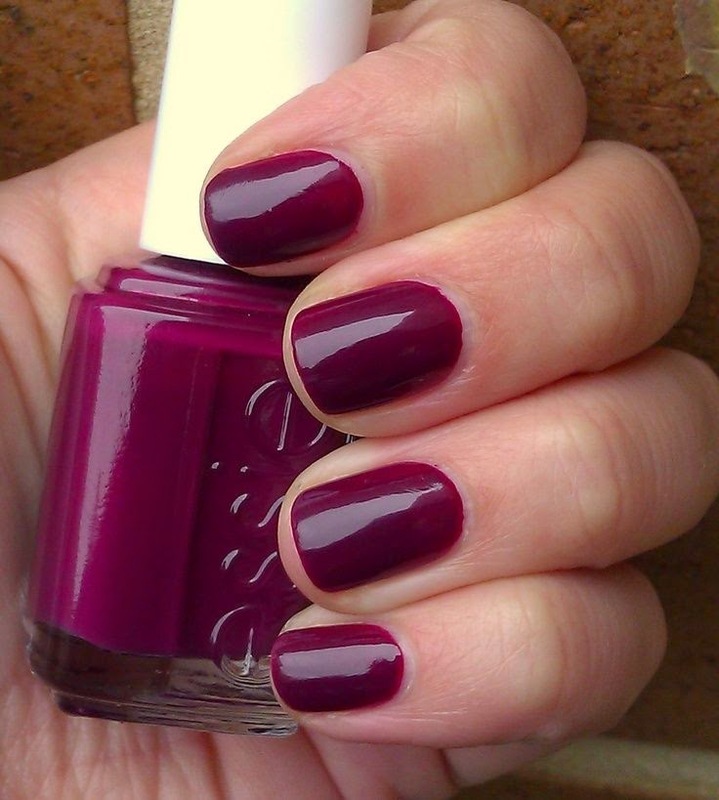 I'm currently wearing a burgundy color- perfect for fall! I rarely get a manicure since I hate how long it seems to take. Instead, I paint my nails at home weekly! My favorites for fall are Essie’s Bordeaux and Chinchilly! The first and last essie colors... I'm in love! So gorgeous! I have to admit that while I can get these beautiful polishes for over half off with my beauty license, I totally cheat and just get shellac because I can't STAND the chipping! But I'm definitely going to try the cuticle oil trick! Genius! All great colors, I can't even pick a favorite haha, also thanks for the tip - I've never heard that before. I hardly paint my nails because of the chipping - it drives me insane! I'll have to pick up some of the oil and give it a try. Essie has the BEST colors! I really like After School Boy Blazer and Dressed to Kilt for this fall. Going to keep an eye out for L'Oreal Greycian Goddesss... the perfect grey! LOVE after school boy blazer! Just snagged it this weekend and already have it on my nails. I think it's going to be my new fall favorite. 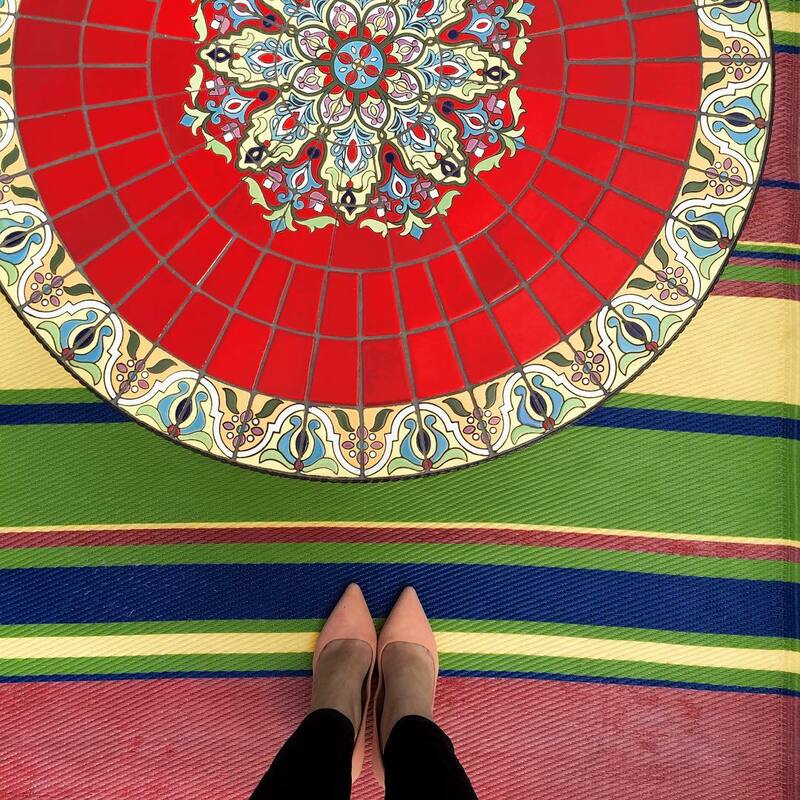 Love the other colors you shared too! My obsession with nail polish is ridiculous--but fall may be my absolutely FAVORITE season for polish. SO many pretty colors and there's just something about a deep dark color on short nails that looks so pretty to me! Scented nail polish? I had no idea that was a really thing. I'm going to have to look into that. I love Essie polishes but you're right, they tend to chip fast if I keep my nails longer. But I guess I don't really mind because I do them once a week anyway. I really really want to know what that first pinterest shade it, it looks perfect! I'm currently wearing after school boy blazer and love it for October/Halloween bc it almost looks black. I typically go for more wine/red colors for fall ans winter though. Love all these picks! Ok this really makes me want to go polish shopping now!! 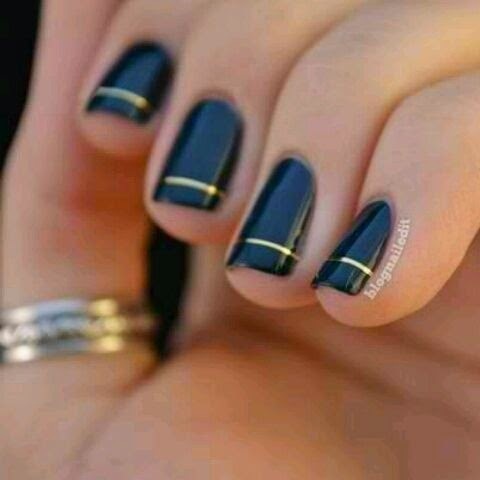 In love with that first navy color and I love the black and gold Pinterest nails! I love all your picks! Revlon and L'Oreal polishes are definitely my favorites from the drugstore. Essie always has such great colors, but I'm sick of buying them because they chip on me within a day! I'm all about dark colors during the cooler months, and OPI's Lincoln Park at Midnight will always be my go-to - that's what inspired me to have my bridesmaids wear plum at our wedding! 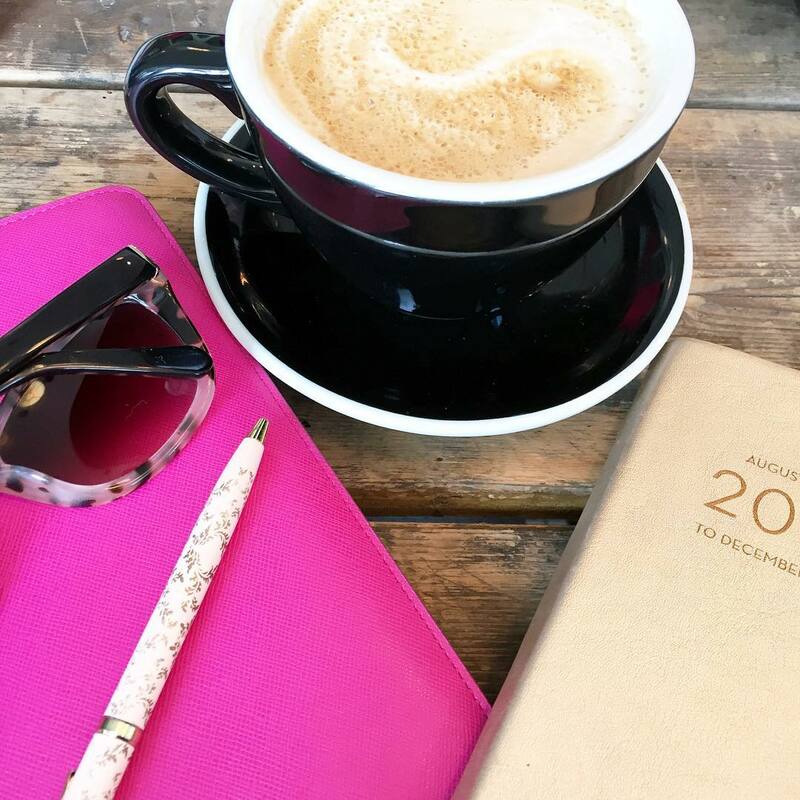 Love love love this post (of course)! Those Boston themed polishes seem pretty cool and two of my favorite greys for fall are Essie Sable Collar (a grey with a hit of copper) and Smokin' Hot (darker grey). And those pinterest nails are way too perfect lol. I have Power Clutch on right now. Essie is probably my favorite for colors, OPI also. I love Smokin' Hot by Essie for fall as well. Fun post!! I tend to only paint my toes because mine always chip but I use my hands a lot! I love purples and Browns the most! I need to check out the revlon ones, I didn't know they were scented! That purple is my favorite! I am also a total nail polish whore. I have to have my nails done perfectly at all times. I get gel now because I find that it lasts way longer than regular polish though. Loving the fall colors! I usually stay pretty neutral I. My nails and go fun with my toenails but I just tried a dark in my nails...I feel like a rebel ;) and swear by only OPI! CVS perfectly places their naiolishes in the front so I have to buy them!! Such a perfectly crafted plan! I love your purple hue choices, so great for fall! Oooh..I need to try Mini Luxe! I'm always on the hunt for products that are free of harsh chemicals or any toxins. Thanks for sharing this!! I'm so glad you mentioned the scented revlon polishes because I've wondered how they work / how scented they actually are when you use them! The L'Oreal polishes are definitely my favorite drugstore brand, I have a similarish gray that I love-- it's a pretty good dupe for Essie's chinchilly, and I find that it applies even better! I love my fall Essies...warm and toasty turtleneck, merino cool, bahama mama, cashmere bathrobe. Zoya fall faves are Aubrey and Chanelle. Love that first purple color! I may have to paint my nails that color next! I love having polished nails too but having to wash my hands all day everyday means chipped nails fast which I can't stand! I love Greys for fall! I tend to like grayish-purple colors in the fall. I love me a good, dark nail. I too am obsessed with winter polish. My polish collection currently exceeds 150 which is horrifying! My faves for fall are dark reds and nudes. I'm also loving the OPI Nordic collection. I want them all! We are so on the same page with nail polish. Seriously loving greys and browns for fall. A little cliche, but classically cool. What a collection! 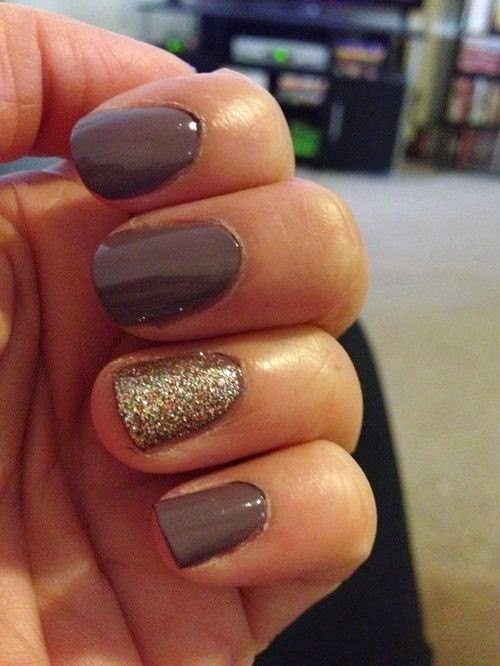 I am loving the gold sparkle ring finger with the dark purples and reds! It's perfect for the holiday season! I am a total spaz and I cannot do my nails myself not to mention I have zero patience when it comes to drying! I leave it to the professionals! Great color choices for the fall! You know I'm a fellow polish-holic but I'd never heard the trick about using cuticle oil first! Genius! And thanks for sharing. Ooo, nail polish is so much fun! I went a long time without painting my nails at all but I have been getting back into it lately! I'm so hard on my hands though, so any polish on my hands chips within a few days! I'm very intrigued by the scented nail polish, that sounds great! 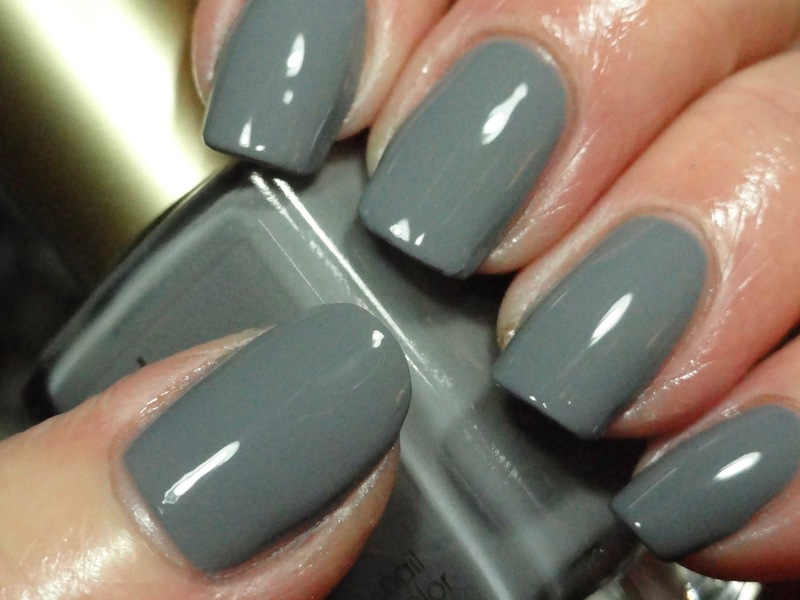 I love the greys on nails... I just get so jealous of beautiful nails & great cuticles. My hands are always a mess. I love Essie colors, but they always apply terribly when I do my nails at home. For an at home manicure I opt for OPI. I'll have to try some of these other brands that you suggested!!! 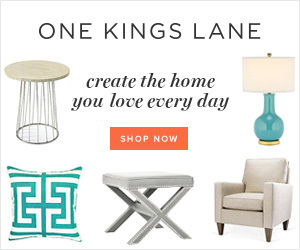 Love the taupe-y/gray with the gold accent under the Pinterest favs! I have got to do a fall nail makeover now! No lie I've been trying to paint my nails all week and I haven't had any dang time to sit down to do them. Thank goodness for that quick dry topcoat otherwise I would never be able to keep a manicure. I just bought a sinful color I can't wait to try! I really like their formulas. Love the Bordeaux above - such a sultry fall color! The first and the last shades....all day everyday! Now I really want to go get my nails done! i think i own like two nail polishes of my own. SHAME!! but um some of these gorgeous ones make me want to buy especially now that i'm not getting my done as much as i used to! Love the gray color and the purple! I don't do my fingernails because it seems like it makes them weaker. Does anyone else experience this? I am also starting to notice that the formaldehyde in polish doesn't agree with my toes either. It only took me 20 something years to figure it out! I love that first pink one! But let's be real I need them all!! Love all of these... Dark polishes are so beautiful!! Do the Revlon polishes smell like their names?! I've been curious about those! I've been meaning to try out cuticle oil for forever now especially since my nails chip so easily! And great picks! I love the dark moody Essie colors! i am like you--i could have easily added another 50 to the list! Makes me want to get my nails done now! So many awesome fall colors! You Dont Know Jacques by OPI is one of my favorite tried and true fall colors! Love all your pics! That Italian Leather one is fabulous and its scented! So cool! I am absolutely obsessed with Greycian Goddess!!! It's my go to nail color. I think I've gone through 3 bottles of it. Polish that smells good? I'm going to have to try that! I've had good luck with Revlon polishes lasting. 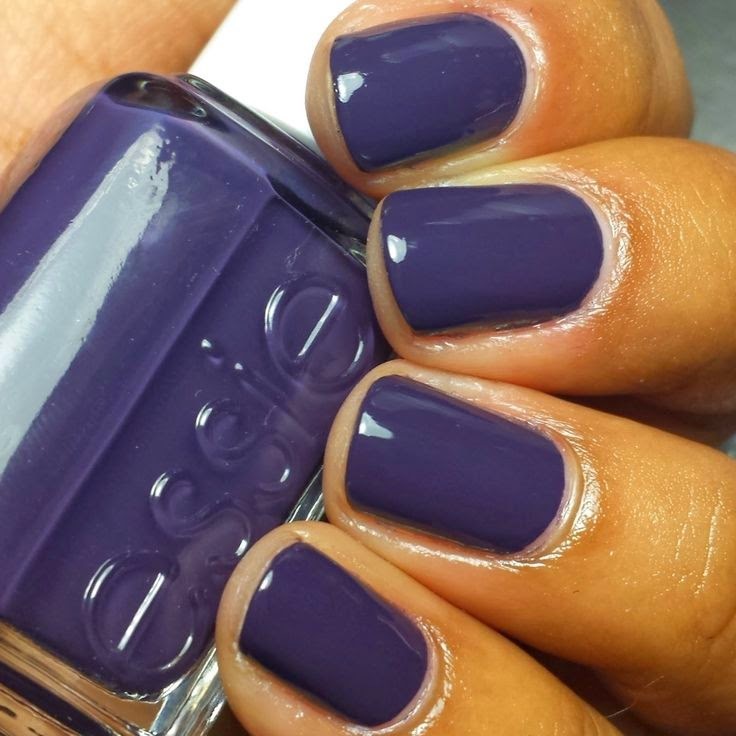 I love Essie Wicked and Merino cool and I just picked up Essie Dressed to Kilt and The Perfect Cover up. I love all of those colors!!! !